ME/CFS is the condition that is probably most often confused with FM. That’s understandable since an estimated 70% of people who have one also have the other. The symptoms of each are remarkably similar. So much so that some experts believe FM and ME/CFS are slightly different expressions of the same basic illness. As with FM, there are no diagnostic tests yet available to definitively identify ME/CFS so diagnosis often comes down to a judgement call by your doctor. Hypothyroidism is a condition in which the thyroid gland does not produce enough thyroid hormone. This is another condition that shares a lot of FM’s symptomatology. Some symptoms common to both include joint or muscle pain, fatigue, sensitivity to cold, constipation, depression and weight gain. Many doctors rely solely on the TSH test, which measures the amount of thyroid stimulating hormone in your blood, to diagnose hyperthyroidism. However, in order to get an accurate picture of how your thyroid is functioning, it is also important to test your Free T3 (triiodothyronine) and Free T4 (thyroxine) levels as well. Lupus is an autoimmune disease, meaning the immune system of a person with lupus will attack normal cells as if they were an outside invader. This can cause inflammation, tissue damage and pain throughout body, which feels very much like the widespread body pain of FM. There are some symptom differences. One of the best-known lupus symptoms is the characteristic butterfly-shaped rash that occurs on the cheeks and bridge of the nose of approximately 30% of people with lupus. Although there is no single test that will identify lupus 100% of the time, there are lab tests that can help your doctor determine whether or not you may have lupus. 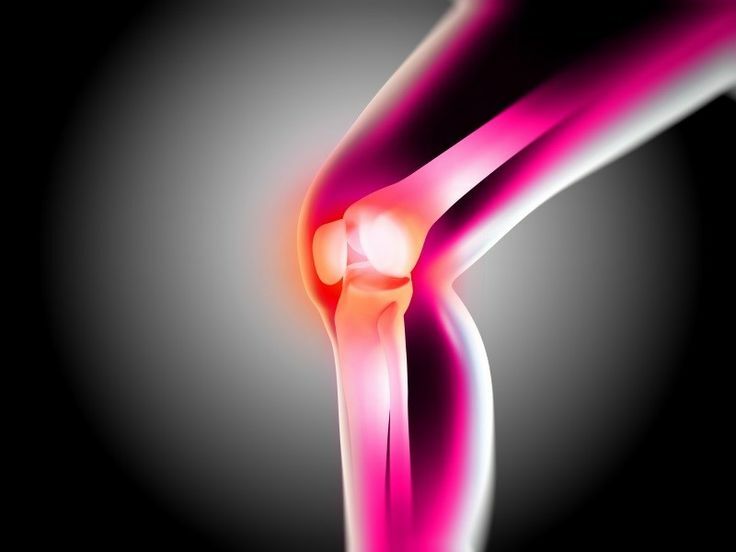 The two most common types of arthritis are osteoarthritis and rheumatoid arthritis. Osteoarthritis is generally caused by age-related deterioration of the cartilage in joints, which can lead to tissue and bone damage. Rheumatoid arthritis is an autoimmune disease that causes inflammation and destroys the lining of the joints. The main symptom similarities between FM and arthritis are painful joints and morning stiffness. Osteoarthritis can often be seen in x-rays. A physical exam and blood tests to rule out other causes of arthritis can also help the doctor in making a diagnosis. If the diagnosis is still uncertain, the doctor may attempt to withdraw synovial fluid from the joint. Rheumatoid arthritis can be much more difficult to diagnose since blood work and x-rays may show normal results for many months after the onset of joint pain. Multiple Sclerosis is a disease in which the body’s immune system eats away at the myelin sheath that covers and protects the nerves. This interferes with the brain’s ability to communicate with the rest of the body. Symptoms FM and MS have in common may include pain, fatigue, numbness, tingling, cognitive impairments, poor coordination and blurred vision. There is no specific test for MS, however, blood tests, spinal taps and MRIs can all give the doctor important clues that may aid in making an MS diagnosis. For years people with FM have been told by doctors that they’re “just depressed.” Although depression is often listed as a symptom of FM, clinical depression is actually a separate and distinct condition that sometimes overlaps with FM. The exact causes of depression are not fully understood, but are thought to involve in imbalance of various neurotransmitters and hormones. Some common symptoms that may be shared by FM and depression are pain, fatigue, and difficulty with memory and concentration. Depression is usually diagnosed based on criteria identified in the Diagnostic and Statistical Manual of Mental Disorders published by the American Psychiatric Association, but the doctor may also do some laboratory testing to rule out other conditions that could be causing your symptoms. Polymyalgia rheumatica is form of arthritis that causes muscle pain in mulitple parts of the body and rarely occurs in anyone under 50. It shares some of FM’s most prominent symptoms – pain, achiness, morning stiffness and fatigue. A diagnosis of polymyalgia rheumatica is usually made based on symptoms, blood work and possibly an ultrasound. Blood tests like sed rate and c-reactive protein can reveal the presence of inflammation. An ultrasound may reveal inflammation of the soft tissue in the shoulder and hip joints, two of the most frequently affected areas.